Home / HairCare / ALTEYA Organics Rose Otto Invigorating Hair Care. 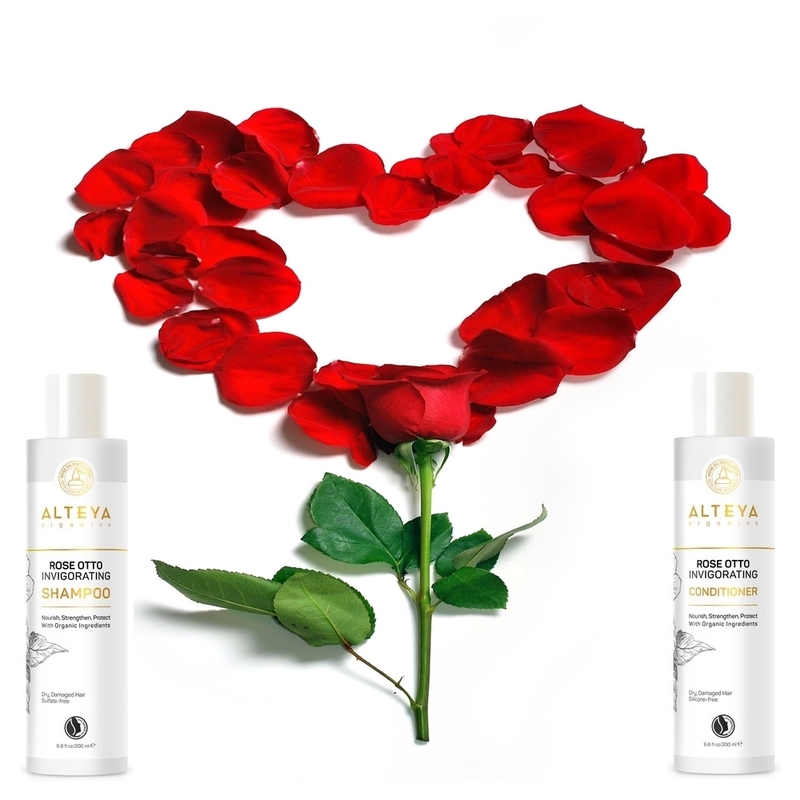 ALTEYA Organics Rose Otto Invigorating Hair Care. 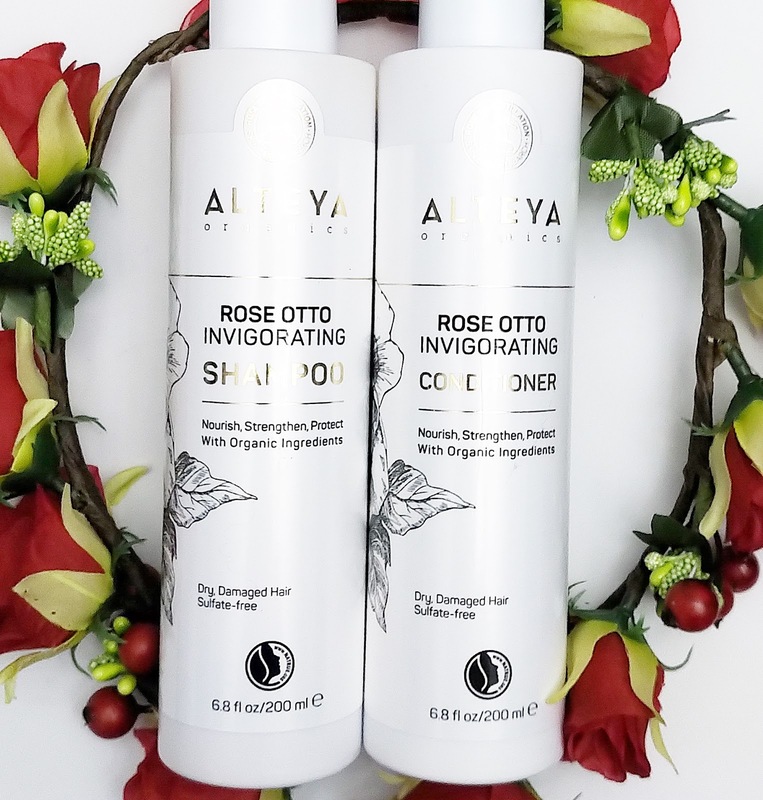 Nourish and strengthen dry, damaged hair, when using the two products from the ALTEYA Organics Rose Otto Invigorating Hair Care range. The sulfate-free shampoo and conditioner feature specifically selected organic ingredients that are known to nourish distressed hair, while also helping to strengthen it with strand-building proteins. Free of sulfates, silicone's, parabens, petrolatum/mineral oils and synthetics, you can be assured that your hair will be respected and treated to an invigorating experience. Disclaimer: I was sent the products free, this does not influence or change my honest opinions written in my blog posts. 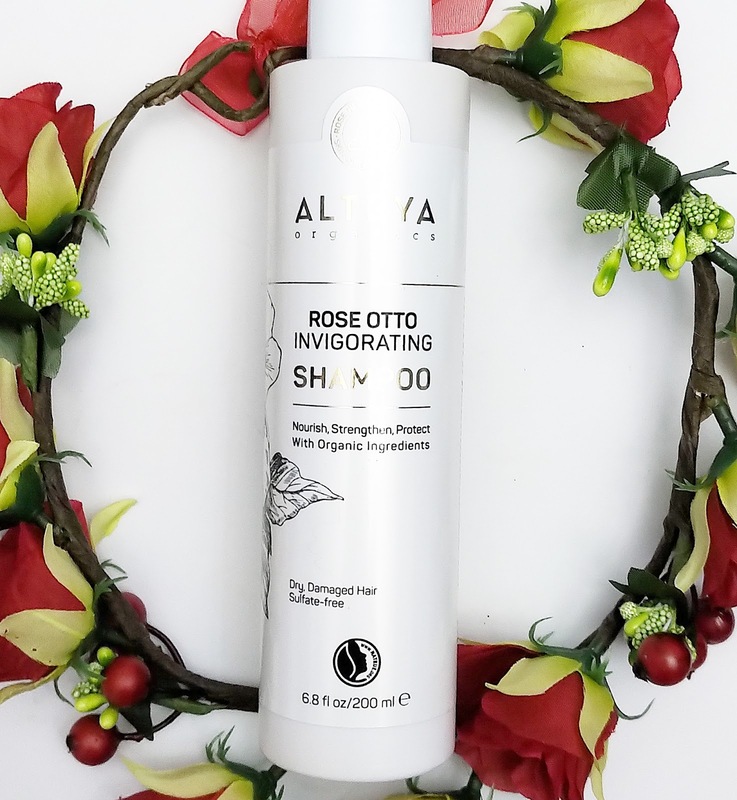 The ALTEYA Organics Rose Otto Invigorating Shampoo gently cleanses the hair to get rid of any styling products and daily pollutants, without over-stripping the hair of its essential moisture. Applying a coin sized amount in your hands from the easy-to-use bottle, gently apply to the scalp and roots of wet hair. The shampoo gently lathers from plant-derived cleansing agents in its formula, to open the cuticle for an efficient but gentle cleanse, while the invigorating scent of rose influences your senses and well-being. The creamy lather rinses out of the hair easily and leaves the hair feeling clean and soft, ready for application of the conditioner. 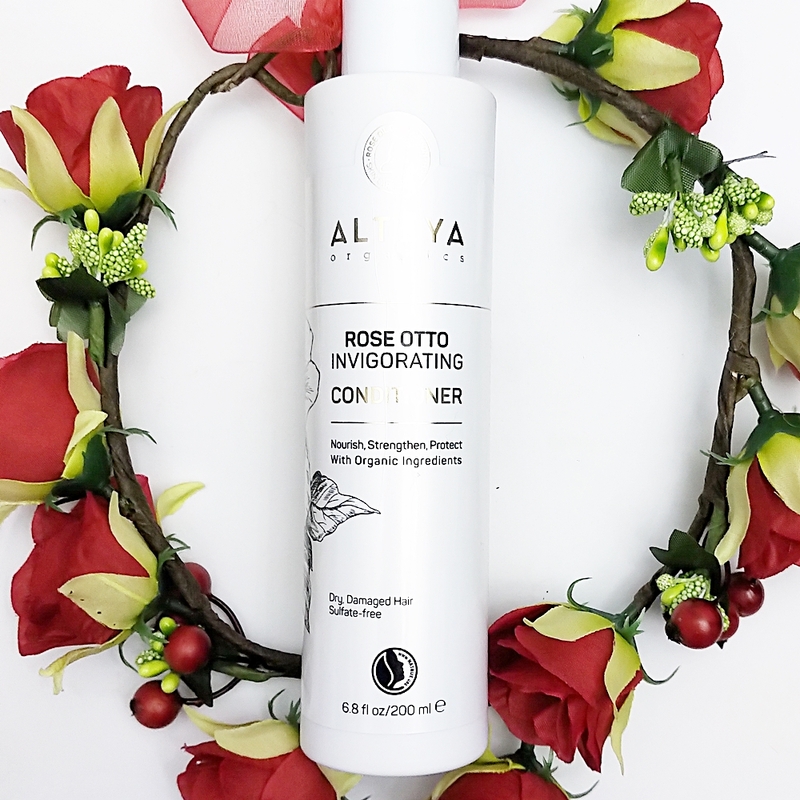 The ALTEYA Organics Rose Otto Invigorating Conditioner is now ready to be applied to the raised cuticle to allow this rich-conditioning treatment to penetrate the hair. The strand-building proteins and organic emollients bathe the hair to help mend and strengthen any weak strands, while also protecting from further damage. Applying an efficient amount to cover the mid-lengths and tips, the richly-thick conditioner glides through the hair for an easy application experience. Leaving in the hair for 2-3 minutes, you can apply a warm towel over your head to help and ensure maximum penetration of the organic ingredients included in the formula. The conditioner rinses out of the hair easily and when dried each strand feels soft and hydrated, without looking or feeling weighed down. Disclaimer: The link in black below is not affiliated, it is used for you to find the product quicker! The shampoo and conditioner work together perfectly to ensure the hairs integrity is not compromised but improved. The shampoo soothes an irritated dry scalp, while also improving split ends and manageability of troublesome unruly hair. The conditioner provides extra nourishment for thirsty dry locks, while also protecting the hair with an invisible film that stops moisture-loss, reduces static, and increases volume. Treat your hair anywhere with the travel-friendly bottles, I'm sure your hair will thank you when using the products from the ALTEYA Organics Hair Care range. X Neil.